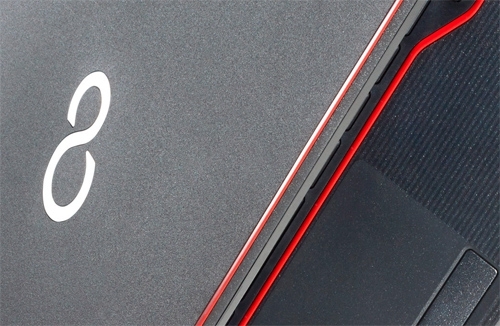 Positive: Decent hardware; excellent display; backlit keyboard; lightweight. Negative: Relatively high price. Positive: Good material; decent performance; good IPS display. Negative: Mediocre keyboard and touchpad. 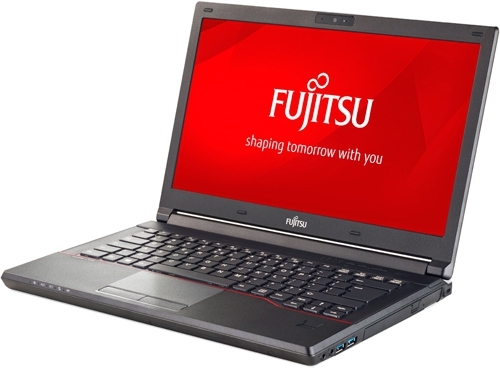 Model: The Fujitsu Lifebook E746 is a great choice if a user needs a stylish notebook with valuable features to support you in daily work. With its wide display, light weight, extensive set of interfaces and advanced security features, this modular notebook offers full convenience and flexibility. 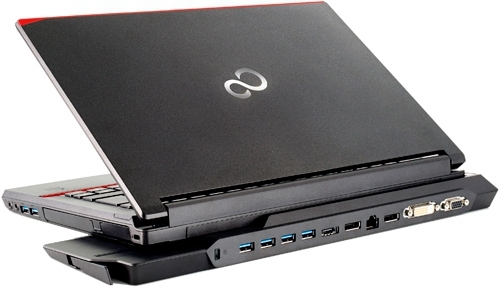 The dimensions of the laptop are 338 x 231 x 20-27 mm. As for the weight, it is 1.7 kg. 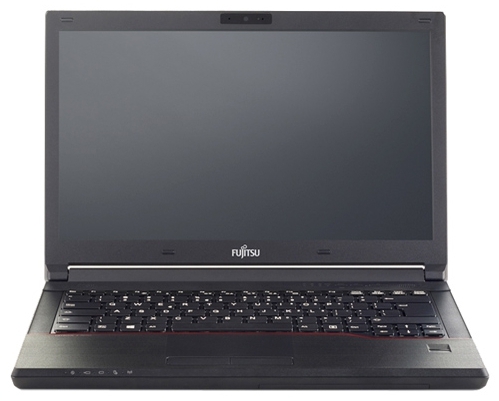 When comparing the Fujitsu Lifebook E746 with the Lifebook E744 or E743 predecessor, there aren't any special design differences. The case does not look too modern like many other laptops'. In appearance, it has the classical style with two primary colors, which are black with silver. 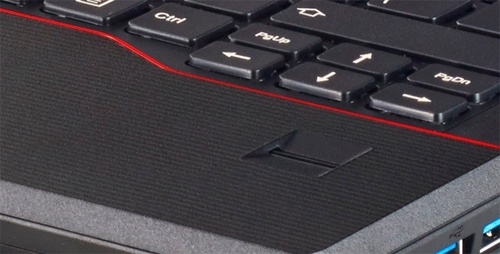 A noticeable accent of the laptop appearance is the thin red strip on the top edge of the lid and down the contour of the keyboard. The laptop cover is made of magnesium and aluminum alloy, thus it makes a sturdy and reliable design. 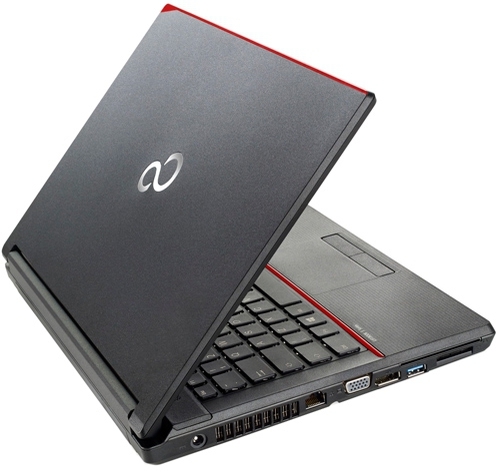 The laptop provides an IPS display with a resolution of 1,920 x 1,080 pixels. The screen has a diagonal of 14 inch, which is suitable for work and watching videos. It offers excellent viewing angles, as well as an image that has enough contrast (700:1) and brightness (300 cd/m²). In addition, the screen has a matte surface, so the owner will not face the problem with reflections from environmental light. 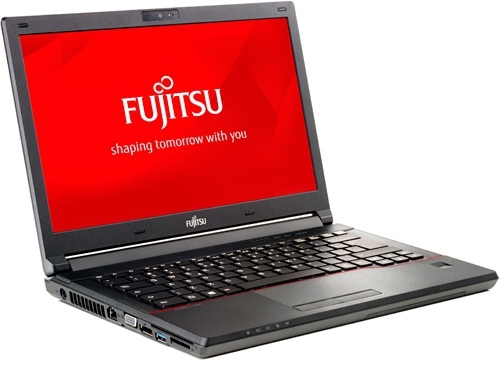 The Fujitsu Lifebook E746 comes pre-installed with the Windows 10 Pro 64-bit operating system. However, it is possible to roll back to the professional Windows 7. The device is equipped with a dual-core processor of the sixth generation Intel Core i5-6200U with a frequency of 2.3 GHz, rising to 2.8 GHz, thanks to Turbo Boost. The chip is built according to the standards of 14 nm technical process and it has a cache of 3 MB. The CPU performance is enough for many daily tasks, including multimedia. There is an integrated video card Intel HD Graphics 520. It is able to encode and decode video. In addition, it supports display output to three displays. As for RAM, the laptop has 16 GB RAM in two slots, with 8 GB in each slot. The memory has a modern standard DDR4 and a bus frequency of 2,133 MHz. It is upgradable to a maximum of 32 GB RAM. As for the storage, the laptop has a 500 GB hard disk drive. With a 2 MP webcam, users can communicate with video calling. Of course, there is still some small graininess. On the left side of Lifebook E746, there are RJ-45, VGA, DisplayPort, and USB 3.0 ports, as well as a power socket and two slots media cards. On the opposite side, there are two USB 3.0, an headphone output, a microphone input and a slot for the Kensington lock. 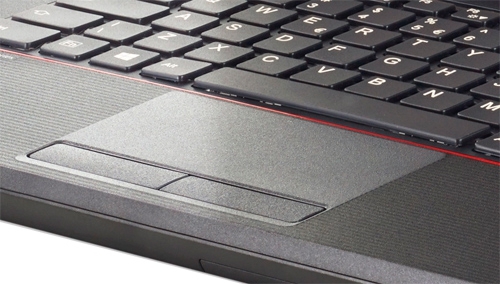 The Lifebook E746 is a perfect daily driver for mid-range office workers. It is slim, light and well equipped with all the necessary hardware.